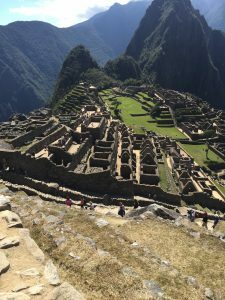 The site of Machu Picchu is undoubtedly a crucial source of cultural and economic capital for Peru’s civilians and leaders. Still, the exact cultural patrimony of the site remains under debate, namely between the indigenous peoples of Peru, Peruvian government and criollos, Peru’s tourism industry, National Geographic, and Yale University. 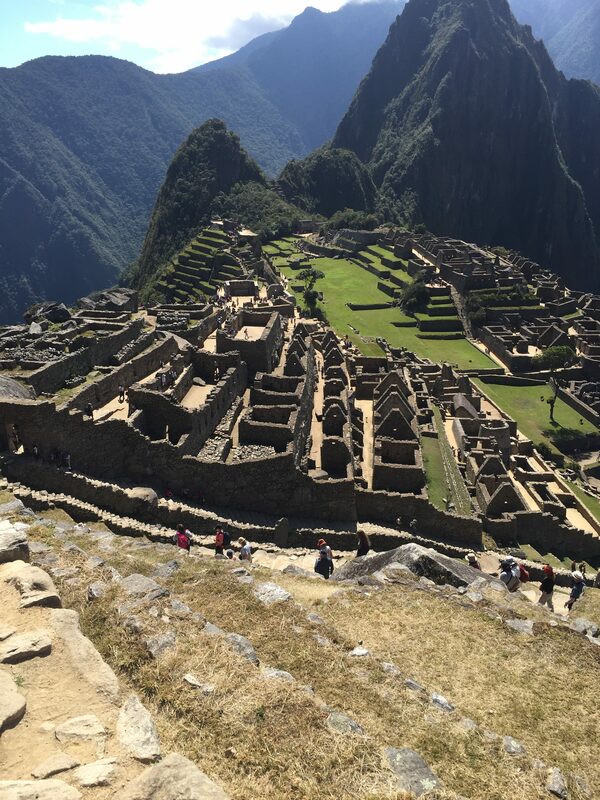 Overview of Machu Picchu, ancient Incan site. Hiram Bingham III, who eventually received funding from both Yale and National Geographic, is often credited with the discovery of the Incan site. However, indigenous farmers had already been aware of Machu Picchu. The precedence that Yale and National Geographic have been given with the site has more often than not surpassed that of any other group, especially the indigenous descendants of those who have once occupied the site. As such, and as was argued in the class debate, Yale’s relationship with Machu Picchu is sullied with imperialist ideology. It is easy to see why there would be a reluctance to work with Yale as well as National Geographic in the present day repatriation of the objects. Inner architecture of the citadel. Note the triangular stone working- probably meant to honor the spirits that take the form of mountains (Lubow). The fact that the 5,000 Machu Picchu artifacts that Yale possesses are loans from Peru that have never been returned further justifies the incredulity there is in the negotiations regarding repatriation. If Yale’s return of the artifacts is conditional and there is no apology given for not returning the artifacts, then it can easily be argued that Yale is undermining the capacity of the country’s intellectuals and academics. If funding is an issue, then past perpetrators should be more than willing to place those who have been exploited at the forefront of further research and attainment of the discussed cultural patrimony, specifically in the jobs that they would like. This wasn’t presented in the debate until we neared the end. It is easy to feel that what we believe to be in the best interest of others is correct. It is certainly much easier than seeking the opinion of those who will live its consequences. Economic, academic, and cultural goals can often come into conflict with each other. However, in class, Peru’s tourist industry was especially at odds with the rest of these interest groups. Unlike everyone else, tourism leaders in Peru want to increase the influx of tourists into Machu Picchu. Or will they be understood to be just as dynamic as the people who visit? Physical deterioration of the site is also something that needs to be taken into account. One suggestion was to use technology to create digital tours of Machu Picchu. 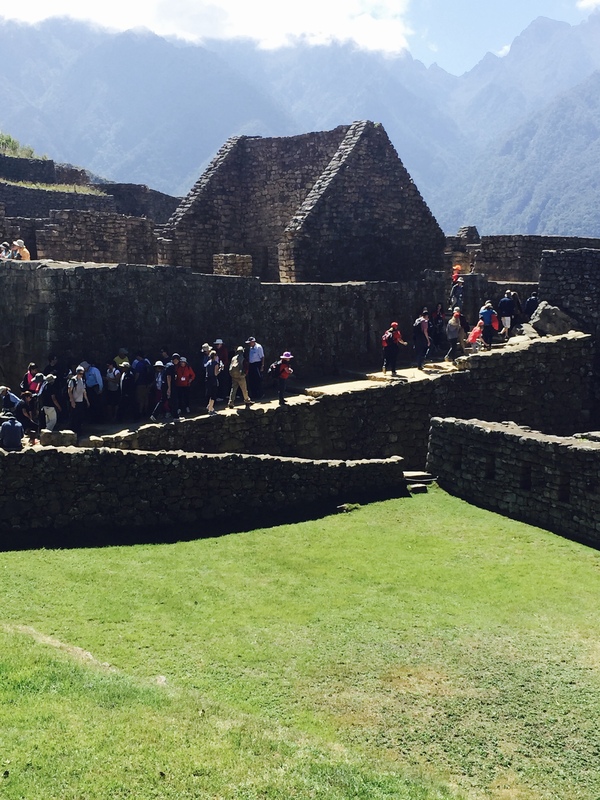 Another was to move museums and cultural centers away from Machu Picchu, or sectioning off areas that were not accessible, thus filtering the influx of visitors to the actual site. Even if physical deterioration were to be minimized, there would undoubtedly be increased exposure to ancient and modern Peruvian culture. The manner of exposure would possibly be detrimental to the physical condition of the site. The cultural importance of the site as well as respect towards the inhabitants of the area will vary depending on the way that tourists are exposed to the site. Will the indigenous people in the area be seen as part of the scenery and as a group of uncivilized others who have been lost in time? It is important to humanize the indigenous peoples of Peru. Not even the Peruvian government can be necessarily trusted to do this, as it is dominated by those of Criollo descent and education, again minimizing indigenous participation. Perhaps this humanization would entail decreasing the romanticization of Machu Picchu and the people of the area. It might be begin to be remediated by the government, through increasing access to education and increasing measures to decrease poverty among indigenous peoples. Still, in class, it was argued that one of the issues with removing the mythical attributes of the site would be decreased interest in tourism, and thus decreased revenue and exposure. In part, this is true. One possible way to cultivate respectful interest would be again, to let indigenous people be at the forefront of telling their stories, in whichever way they’d like. There is mysticality in the unknown, and the intricacies of of other cultures are rarely made known to members of other cultures. 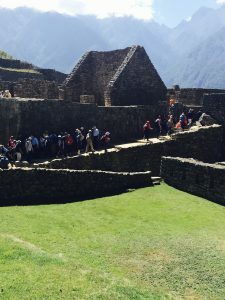 Each of these interest groups can be a part of making Machu Picchu an area for learning and furthering of knowledge of the past. The 5,000 object that are in contestation must be repatriated, and indigenous people must be at the forefront of it. Still, the long term goals of acquisition of knowledge and economic sustainment through tourism. The objects should be repatriated without conditions. The most advancement is most likely to occur when other countries are willing to offer assistance rather than imposition when dealing with cultural patrimony. Throughout history humans have used resources from their environment to aid in their survival and to grow as a species. As humanity has grown, so has the demand of resources. But as time has gone on, our resource use has grown less and less sustainable. According to Smith (2010), Gro Harlem Bruand said, “Sustainable development is development that meets the needs of the present without compromising the ability of future generations to meet their own needs.” Humans used to always respect the environment, and knew to give back to it in order to sustain both themselves and the environment they were a part of. Populations would simply scatter and become nomadic if a city fell apart. But now, such ideas have all but disappeared as humanity is destroying the planet we live on as our demand of resources reaches critical levels. In some ways, ancient civilizations were very similar to our own. They contained societal hierarchies that were similar to our own. They created permanent settlements that grew in number. But ancient civilizations were also very different from modern civilizations. They lacked the technology we posses. Their ideals and religion differed from ours as well. But most importantly, they were moderately sustainable. People back then had to rely on their environment a lot more than we do today. They relied on their environment to give them what they needed to survive. If their was a bad drought and the crops died, then there was no food for the city. Nowadays, farmers can simply pump water up from the ground to irrigate their crops, or get the water delivered to them from somewhere else. They also spray pesticides and chemicals to improve the crop yield. They contaminate their environment to survive. Ancient civilizations used the materials around them to build their homes and produce goods. Modern civilizations burrow into the ground and send and receive goods from around the world. 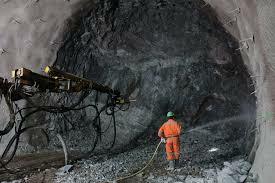 Modern society gains many of its resources through mining and related activities. This can destroy and destabilize the land around it as well as contaminate nearby water tables. We overproduce goods to gain a higher profit while not realizing that in doing so we are overusing our resources to the breaking point. Some groups like the Native Americans valued the land and thought it belonged to no one. Now we have become obsessed with gaining land and resources to use for ourselves rather than the entire group. According to Smith (2010) “Private property laws ensure the continuing organization of space, even after physical destruction”. But ancient civilizations were not perfect. Eventually they too overused their resources and eventually collapsed. However, our civilization has reached that phase faster than most others before us. we have managed to reach the phase that took the Maya more than 500 years to reach in less than half the time. If we want our civilization to continue, we must eventually learn to be just as sustainable as those ancient civilizations were. 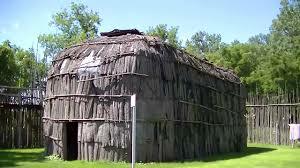 The Iroquois used resources from their local environment to construct their longhouses. 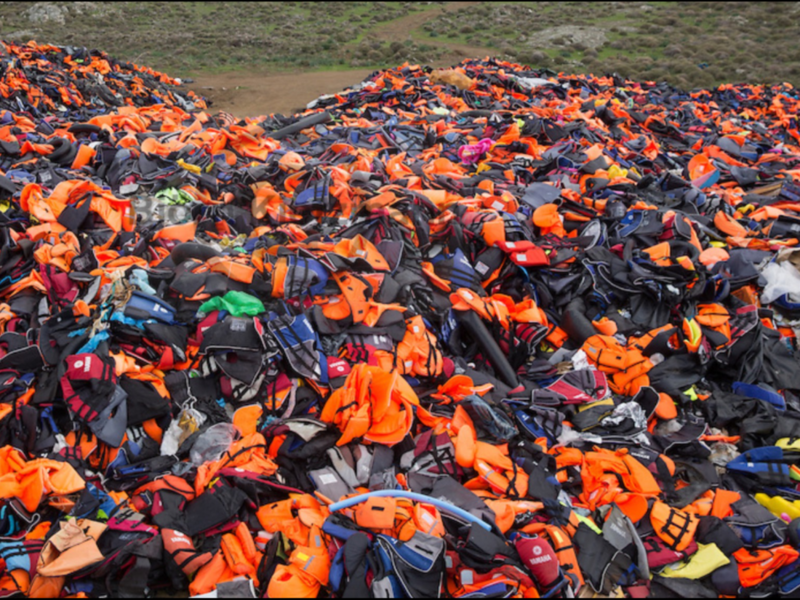 Hundreds of thousands of life jackets litter the mountainside of the island of Lesvos, Greece. These life jackets are left behind by refugees who have survived the arduous journey by sea to Greece, or recovered from the bodies of those who did not survive. The sheer number of jackets is immeasurable and incomprehensible. The mountainside of Skala Skamnias is sprinkled with orange and red cheap pieces of nylon and polyester, items that are supposed to be “life savers.” According to the UNHCR, “3,400 refugees and migrants land each day” (Strickland, Patrick Al Jazeera) on the shores of Lesvos. With each refugee that lands, they shed and leave material items. Each life jacket is a story of a person who has traveled far from home and left everything behind. Like those crossing the Sonoran Desert to get to the USA, many smugglers and businesses profit off of those making the journey. 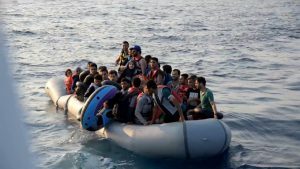 One refugee was shocked “when he paid smugglers $100 only to find that his jacket was packed with nylon and padding…People spend their life savings and are only given symbolic protection” (Strickland, Patrick Al Jazeera). One can find these life jackets offer no protection. Lesvos does not have the capacity or ability to recycle the thousands of life jackets and cannot afford to ship them to mainland Greece, so they are simply sitting in what looks like a material graveyard, remnants of people’s lives tossed away. In an unfortunately ironic twist, the conference on “Dialogues in Archaeology” was hosted in Lesvos in 2016, and the opening discussion was about “The Archaeology of Forced and Undocumented Migration” (Hamilakis, Yannis The Nation). In a country rich with remains of monuments and material culture, it is ironic how this unique and relevant material culture is not being studied or cared for. The entire country is covered in remains of boats, dingies, life jackets, shoes, clothing items and personal memories. Seemingly mundane and ordinary objects to some tell the stories of thousands who have risked everything to come to Europe. The sad reality is that, as of the moment, “these are not recognized by Greek law as archaeological artifacts, worthy of preservation” (Hamilakis, Yannis The Nation). Instead of learning more about the refugees, the government is ignoring the issue by not taking the accurate and necessary steps to preserve this history. Not only will Greece benefit by preserving yet another rich history, but the world will benefit by learning the stories behind each life jacket, shoe, and tent. This archaeology of forced migration serves to humanize the refugees. Instead of just viewing them as numbers or statistics, they should be seen as people with hopes, dreams, and precious items just like everyone else. Small boats carrying refugees across the Mediterranean. The boats are too full and the life jackets will not protect them. Strickland, Patrick. 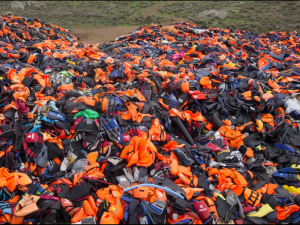 “Life-Jacket mountain a metaphor for Greece’s refugees.” Europe | Al Jazeera, Al Jazeera, 29 Dec. 2015, www.aljazeera.com/indepth/features/2015/12/life-jacket-mountain-metaphor-greece-refugees-151228132054372.html. Hamilakis, Yannis. “The EU’s Future Ruins: Moria Refugee Camp in Lesbos.” The Nation, The Nation, 15 Apr. 2016, www.thenation.com/article/the-eus-future-ruins-moria-refugee-camp-in-lesbos/. “Refugee crisis on Lesvos ‘is a new Greek tragedy’.” ITV News, 16 July 2015, www.itv.com/news/2015-07-16/david-morrisey-refugee-crisis-on-lesvos-is-a-new-greek-tragedy/. “Volunteering on the Greek Island of Lesvos.” JASON’S STORY, a mother’s story, 6 Nov. 2017, mindfulroads.com/2016/08/22/volunteering-on-the-greek-island-of-lesvos/. Archaeology is commonly associated by the masses with the ancient, intangible, and ultimately “unimportant” past. However, in the field of study known as contemporary archaeology, this could not be further from the truth. Contemporary archaeology “focuses on the most recent (20th and 21st century) past, and also increasingly explores the application of archaeological thinking to the contemporary world” (“Contemporary Archaeology.”). As the real-world applications of this new discipline have become apparent, more and more attention has been paid to this emerging field, such as when Jason De Leon, a professor who researches, among other things, contemporary archaeology at the University of Michigan, won the National Geographic Emerging Explorer in 2013 for his work in this field. 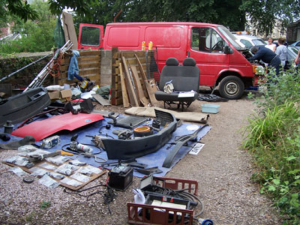 In 2006, a group of archaeologists from the Department of Archaeology and Anthropology at the University of Bristol explored the potential of contemporary archaeology by performing an archaeological excavation of a Ford Transit Van (Schofield). 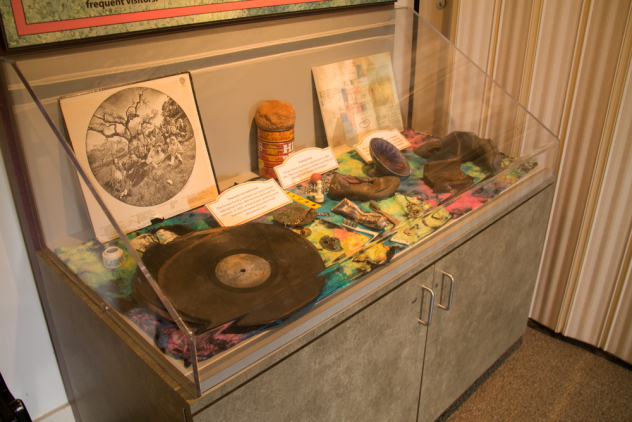 Some of the artifacts found during the excavation process. Over a several month period, researchers Schofield, Bailey, Newland, and Nilsson excavated “three main stratigraphic layers in the rear of the vehicle: a carpet, a plywood lining and the metal body” (Newland). 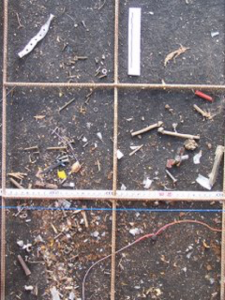 Some of the more unique artifacts discovered during the excavation, “a seventeenth century potsherd, slag, a Victorian threepenny bit, and the types of pencils typically used by archaeologists”, were evidence of the van’s past service as transport for field archaeology projects by the university (Schofield). 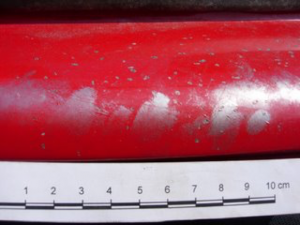 Some fingerprints revealed on the driver’s door. .We live in a material culture, one which produces a vast amount of waste and puts a large amount of emphasis on the importance of ownership. It follows that because of this, archaeological sites are being mass-produced daily. It seems only logical to use the tools of archaeological inquiry to study our culture to better understand that issues that we face today. The van study was a unique expression of this new area of research and its potential to take archaeology in a radically new direction. Summer school students visit the excavation site and learn about its significance. Schofield, John, et al. “THE VAN – Archaeology in Transition.” Archaeolog, 2006, web.archive.org/web/20101007211822/http://traumwerk.stanford.edu:80/archaeolog/2006/08/the_van_archaeology_in_transit.html. Newland, Cassie, et al. “British.” Feature: British Archaeology 92, January/February 2007 Sic Transit Gloria Mundi, 2007, web.archive.org/web/20110716195349/http://www.britarch.ac.uk/ba/ba92/feat2.shtml. Moran, Joe. “Remains of the Day.” New Statesman, 19 Feb. 2009, www.newstatesman.com/society/2009/02/garden-remains-excavation. “Contemporary Archaeology.” Wikipedia, Wikimedia Foundation, 12 Aug. 2017, en.wikipedia.org/wiki/Contemporary_archaeology. On the 14th of May 1948, hostilities first erupted between the newly formed state of Israel and its Arab League neighbors of Egypt, Jordan, Lebanon, and Syria. In the seventy years since historians have documented the Palestinian War in its near entirety. However, one aspect remains strangely unstudied: the condition of the exiled Palestinian refugees. Why have they been completely ignored? Perhaps archaeology can unveil the past of a people banished from their home. Location of Al-Bassa, now an Israeli town. 33° 04′ 34″ N 35° 08′ 27″ E.
Our journey begins in abandoned Palestinian settlement of Al-Bassa, where in May of 1948 Israeli forces told its inhabitants to leave, according to Israeli documents. 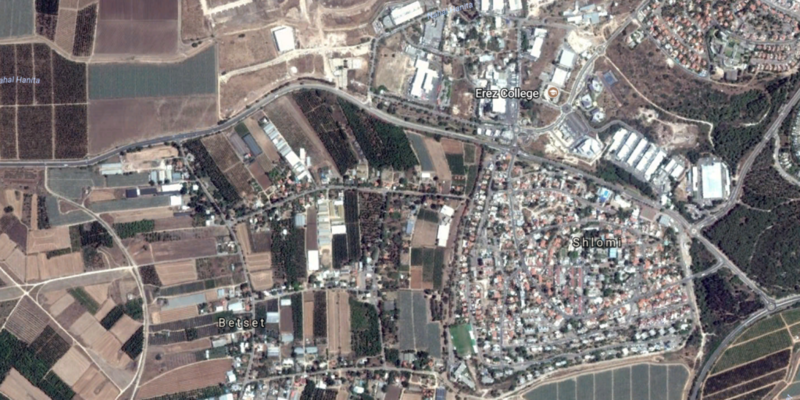 Surprisingly, no evidence of the settlement exists as an Israeli town was built directly on top of it. Modern streets and buildings now conceal any artifacts. Archaeology would be possible, but extremely difficult to perform. Neitherless, there must be other sites to study. Al-Kabri, another abandoned settlement, meets a similar fate of annihilation. Where the village should be is only farmland. The history of a people is completely hidden below the earth, away from the public eye. 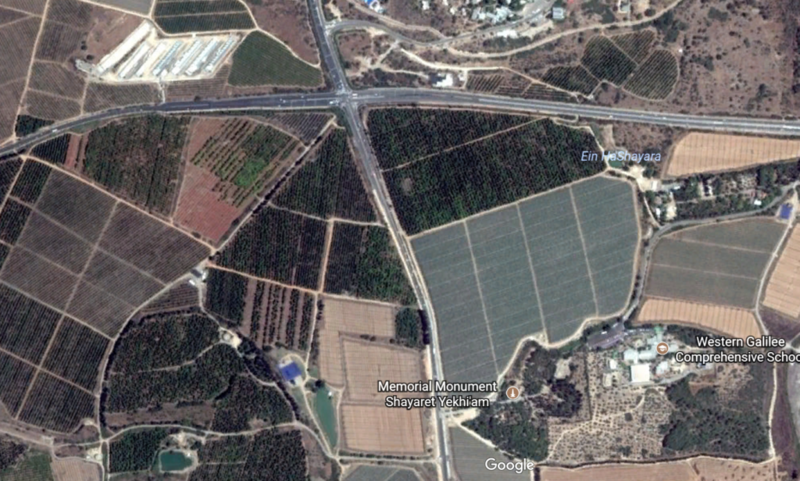 Seventy years ago, this was the location of Al-Kabri, a Palestinian settlement. 33° 00′ 56″ N 35° 09′ 03″ E.
These instances of hidden villages are not isolated, but instead mark the greater trend. Satellite imagery reveals the majority of recorded settlements are completely obscured. Unless told of their existence, the average person would never suspect they walk on the homes of the Palestinians. But what is the purpose of this concealment? Despite official records claiming the peaceful removal of Palestinians from their land, reality offers a darker perspective. Israeli-Palestinian animosity was widespread before and after the war. For example, at Deir Yassin, a massacre claimed 107 Palestinians while the Israeli attackers were only given a warning not to repeat their actions. However, many other cases of racist violence against the Palestinians were not reported and thus remain hidden. Furthermore, the only accurate method to learn of the extent of this violence would archaeology. Yet, as seen above, the potential sites for this examination have all been destroyed in one way or another, making a study of racist violence against ethnic Palestinians near impossible. In such a way Israel could have erased the evidence of Palestinian suffering under their hands. Deir Yassin probably was not the only major massacre during the conflict and smaller attacks could have also happened. Therefore, despite the great difficulty in doing so, excavations of the abandoned settlements are necessary to uncover what lies in the archaeological record. Depending on what items were left behind, archaeologists can gauge the conditions of the departure. If most everyday objects were taken, it probably was a planned and relatively peaceful withdrawal. However, if the refugees only brought the necessities, it most likely was an urgent escape from Israeli forces. Whether it was a peaceful immigration or the result of an institutional system of terror as the result of mass violence, the history of the Palestinian exodus lies buried. Asaf Romirowsky and Alexander H. Joffe, Religion, Politics, and the Origins of Palestine Refugee Relief (New York: Palgrave Macmillan, 2013). Both images are original work of the author. Morris, Benny. The Birth of the Palestinian Refugee Problem, 1947-1949. Cambridge University, 1997. Pappé, Ilan. A History of Modern Palestine: One Land, Two Peoples. Cambridge University Press, 2005. American anthropologist Paul Farmer defines structural violence as “violence exerted systemically—that is, indirectly—by everyone who belongs to a certain social order: hence the discomfort these ideas provoke in a moral economy still geared to pinning praise or blame on individual actors” (Farmer). Where do we see instances of structural violence take shape in the past, as well as in the present day? Fans of the popular post-apocalyptic zombie thriller The Walking Dead will recall the scene where Morgan, a significant character in the series, is trapped inside a prison cell in the cabin of a man he has just met. Days pass yet continues to Morgan remain in the cell. Eventually, his benevolent captor reveals that the cell door has been unlocked the whole time and that Morgan could have escaped at a moment’s notice. Why then did Morgan stay? This scene in popular media illustrates the phenomenon of structural or institutionalized violence. Near Eastern archaeologist Susan Pollock argues that “we experience structures as pre-existing entities, as external objectivities that oppress us by their weight, making us suffer” (Pollock). In this specific situation, Morgan suffers from the environment around him: a world littered with disorder, hostility, and inhumanity. 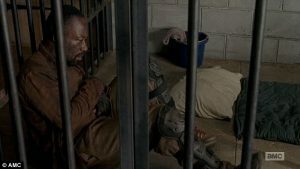 Furthermore, the “pre-existing entity” of the prison cell that contains Morgan overcomes any sense of freedom he might have felt prior to his captivity. Even though the cell door is just metal shaped to the will of humans, it bears a much more significant effect on its inhabitant. 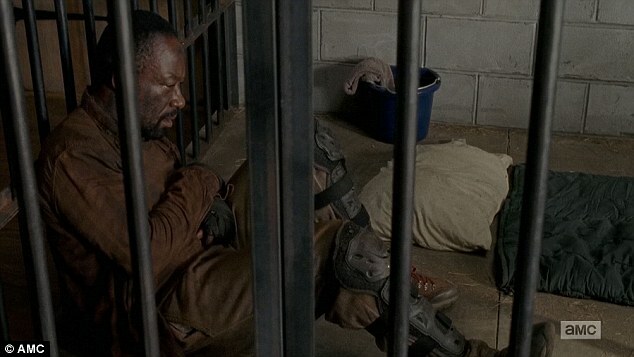 While Morgan is in actuality a free man, in the sense that he can walk out at any time, his familiarity with the connotation of a prison cell convinces himself that he is a prisoner. Structural violence embodied in reality is evident in the case of Nazi Germany. Hitler and his Nazis created a society whose structure oppressed others via government, culture, labor, terror, and propaganda. Most reminiscent of this violence were the Nazi concentration camps. These camps imprisoned “enemies” of the Nazi party, peoples whose very existence were threatened Nazi ideology. Recovered artifacts and features of the site reveal that inmates suffered harsh living conditions and were subjected to forced labor; as a result, several didn’t make out of these camps alive (USHMM). Thus, Nazi Germany committed structural violence through its imposition of the system of concentration camps upon wrongfully accused peoples. What implications does structural violence carry in today’s society? Farmer also states “As the twentieth century draws to a close, the world’s poor are the chief victims of structural violence—a violence which has thus far defied the nature and distribution of extreme suffering. Why might this be so? One answer is that the poor are not only more likely to suffer; they are also more likely to have their suffering silenced” (Farmer). Today’s social order allows for the growing trend of the rich becoming richer and the poor becoming poorer. Therefore, poverty caused by the system is, in itself, a form of inflicting structural violence. In today’s world, the term “whiteness” has been demonstrated in explicit ways after the inception of the Trump administration. From KKK endorsements to Trump’s blatantly racist rhetoric and principles, from “building a wall” to keep Mexicans out of the United States to when the president failed to condemn the white nationalist groups by name who were behind the rally in Charlottesville, people of color who are struggling to enter the country are facing a great amount of adversity. Today, there is an encroaching fear of non-white individuals as a perceived threat to the “American people.” This shows that an exclusionary group of people takes precedence in this country: white, English-speaking Americans of Christian belief. In the 19th century, many Europeans emigrated from their respective countries to seek out new opportunities in America. Many Trump supporters are likely descendants of European immigrants. When they immigrated, these people were considered to be second-class citizens. However, the harsh treatment of European immigrants has largely receded from the public’s historical memory. The Irish, in particular, consisted of a large portion of European migrants in the 19th century. The study of Irish Diaspora with the use of archaeology can be used to understand their experiences with discrimination and assimilation in America (Brighton 2005) and how it translates into a fraction of the racial and nationalistic tension that exists today, which can contribute to discussions regarding “whiteness” in America. One example of harsh treatment faced by Irish immigrants took place in South Bend, Indiana. Archaeological research done by Dr. Deborah Rotman reveals a considerable amount about the living conditions of the Irish in the 19th century. Some of the excavated findings from one family’s site included medicine bottles, indicating compromised access to medical facilities in the area, and tea ware, demonstrating a focus on preserving heritage rather than assimilating to American culture. As was supported by her team’s findings, Irish Catholics faced discrimination; they were associated with racially marginalized African-Americans. The Irish took up many jobs in unskilled labor in construction and factory work, placing them in competition with the black community in South Bend. 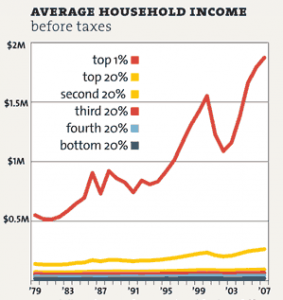 Additionally, after the Civil War, there were heightened strains due to inequality and lack of economic prospects. Consequently, ethnic tensions and segregation in South Bend escalated in the following years (Rotman 2010). In 1863, African-Americans were not considered citizens, so they were not allowed to be drafted in the Civil War, frustrating white workers dealing with inflation, food shortages, and unemployment. In general, European (mostly Irish) immigrants were tense with black workers who posed as a threat to their employment, and violence ensued. 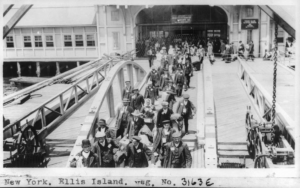 As a result of the complicated history of estrangement for Irish immigrants (and other European migrants of the 19th century), which has affected their descendants, there is now a heightened sensitivity to other groups of people who could jeopardize the privilege they acquired after years of hardship. The establishment of a white American identity for these immigrants was a social development that occurred at the expense of people of color, especially those who threatened their livelihoods and employment—even to the point of implementing violence (e.g. the New York City Draft Riots of 1863 (Harris 2004)). The threat of a changing country exposes the fragility of white nationalism in recent times, and there has been significant backlash as a result. Brighton, Stephen A. 2005. The Irish Diaspora and the Creation of an Irish-American Heritage. Center for Heritage Resource Studies. University of Maryland. http://www.heritage.umd.edu/chrsweb/Ireland/ireland.htm, accessed November 14, 2017. Harris, Leslie M. 2004. In the Shadow of Slavery: African Americans in New York City, 1626-1863. Chicago, IL: University of Chicago Press. Rotman, Deborah L. 2010. The Fighting Irish: Historical Archaeology of Nineteenth-Century Catholic Immigrant Experiences in South Bend, Indiana. Historical Archaeology 44(2): 113–131. Rotman, Deborah L. 2015. The Beaver Island Project: Historical Archaeology of Nineteenth-Century Irish America in the Midwest. University of Notre Dame Blog Network. https://sites.nd.edu/irishstories/, accessed November 14, 2017. Markert, Trish. 2016. Archaeology in Trump’s America: Borders, Immigration, and Revolutionary Remembering. Master of Arts in Public Archaeology at Binghamton University . http://mapabing.org/2016/11/10/archaeology-in-trumps-america-borders-immigration-and-revolutionary-remembering/, accessed November 14, 2017. Woodruff, Sheryl. 2011. 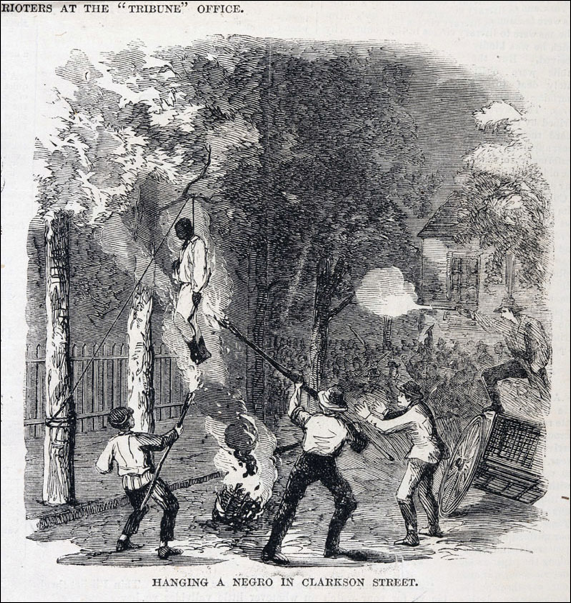 On This Day: New York City Draft Riots. Web log. The Blog of the Greenwich Village Society for Historic Preservation. http://gvshp.org/blog/2011/07/13/on-this-day-new-york-city-draft-riots/, accessed November 14, 2017. This park was once the home of a commune called ‘The Chosen Family’ which was a social project created by a man named McCoy who decided to make a collaborative household. This place ran for around 600 days and became a funnel that attracted a large number of ‘hippies.’ Grace Slick, Janis Joplin, Timothy Leary, Neal Cassady, and Ken Kesey all visited at some point. Even the Grateful Dead played shows at Olompali. The cover of their 1969 album Aoxomoxoa features the grounds of the commune. 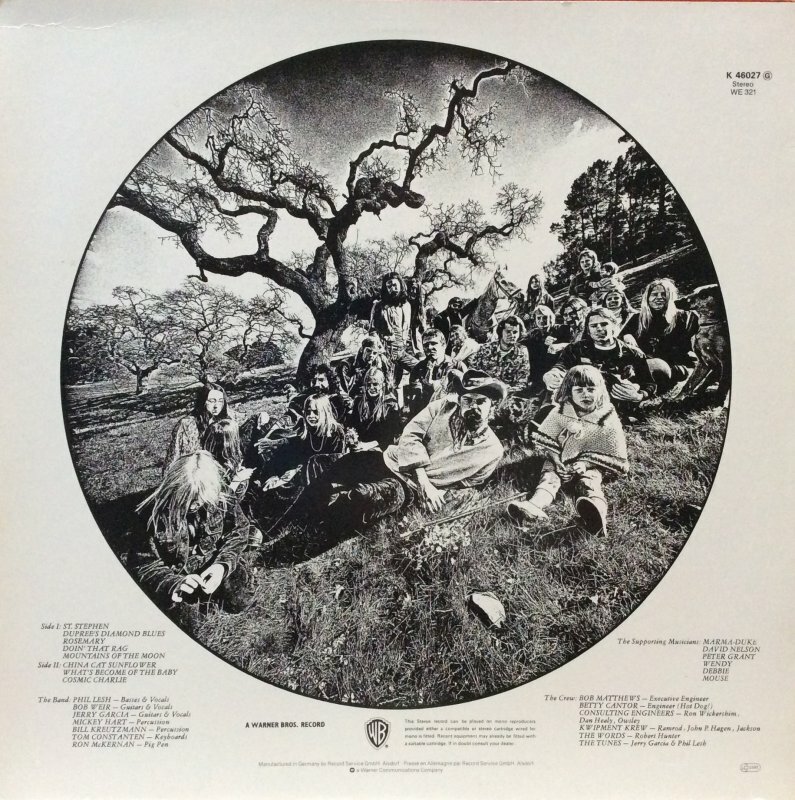 Cover of their 1969 album Aoxomoxoa, which includes some members of the commune. In Zimmerman’s words, archaeology does politics. Its role is to propagate truth through evidence and deconstruct stereotypes. A selection of the artifacts discovered. Almost all cultures that have ever existed have experienced war in one form or another. War, however, is not meant just to eliminate entire populations. War’s ultimate aim is to change a culture and a way of life, an ideology that is especially prevalent in the United States’ civil war. Civil wars occur when two central ideas of a culture become so polarized that simple negotiation is no longer effective in resolving the issue. During the US’ civil war, the Southern section of the country favored slavery while the Northern was against its practice. Although the two coexisted for a time, war was inevitable because of uncompromising differences between the free and slave states over the power of the national government to prohibit slavery in non-state territories. President Lincoln is often viewed as one of the main causes of the civil war, for he refused to recognize the legitimacy of the states that were receding from the union, fearing a broken-up and jeopardized democracy. Prior to his election, events such as John Brown’s raid and Nat Turner’s rebellion further increased the rift between the North and the South. John Brown- An abolitionist who believed that armed rebellion was the only way to overthrow the institution of slavery in the United States. The first real “battle” of the war, however, did not occur until the battle of Fort Sumter. With the secession of many Southern states, several federal forts, including Fort Sumter in South Carolina, suddenly became militia outposts in foreign land. Abraham Lincoln, sensing war, then made the decision to send fresh supplies to the outposts in an attempt to coerce the South into firing the first shot of the war. The strategy was successful, and Confederate warships turned back the supply ship to Fort Sumter to begin a 34-hour siege on the fort, leading to its surrender. After this battle, the war had officially begun between the free Northern and the slave Southern. What followed was one of the bloodiest wars on American soil, a total of about 620,000 deaths at its end- the bloodiest battles claiming 85,000 casualties between them. Despite the death and violence of the Civil War, it was never either side’s initial intention to completely eliminate the other. Instead, the aim of the war was to change the other side’s culture- in this case, the culture surrounding slavery. Due to the North’s victory, their view on slave culture prevailed, completely changing the overall culture of the US. The fate of the then-defeated confederate culture, however, can be observed in the burials of the soldiers. In the Soldiers’ National Cemetery there are markers of 3,500 Union soldiers. However, the confederate soldiers were left in unmarked graves and never properly buried. This reflects the fact that America now considered the slave culture eliminated, and all who believed in it were no longer Americans- only remnants of a past culture. An example of quickly dug and shallow Civil War graves, meant to quickly dispose of bodies before the onset of decay. Although war of any kind is a great tragedy, it can succeed in changing the entire culture of a nation. Keegan, John. “The American Civil War: the Gruesome Suffering of Soldiers Exposed.” The Telegraph, www.telegraph.co.uk/culture/books/6199297/The-American-Civil-War- the-gruesome-suffering-of-soldiers-exposed.html. What Happened to Gettysburg’s Confederate Dead? Warfare has always been more about eliminating a culture versus killing the people. Attacking a cultural site is an effective way of hurting an entire population without actually killing anyone. Today, many terrorists groups are using this method to inflict pain on different regions of people. However, this is not a new phenomenon; British and French forces used this same technique in China during the end of the Opium War in 1860 which, “was a moment, says one scholar, that ‘changed world history’” (Bowl). The goal of the Opium War was to force Chinese imperial rulers to open up trade for the west. The British were under the command of 8th Earl of Elgin. His close friend, Thomas William Bowlby of The Times, was a reporter and when he tried to meet French and British officials for peace talks, Bowlby and company were captured by the Chinese. Meanwhile, French and British troops arrived at the Summer Palace near Beijing. The Summer Palace “integrates numerous traditional halls and pavilions into the Imperial Garden conceived by the Qing emperor Qianlong between 1750 and 1764” (Centre). This site has a long history and is an integral part of the Chinese culture, so when the French and British arrived, they immediately began to loot the site. Elgin, the leader of the British wrote “‘War is a hateful business. The more one sees of it, the more one detests it’” (Bowl). This did not stop Elgin from auctioning off all that had been looted though. Back to Bowlby, the delegation sent to negotiate peace had been taken prisoners, tortured, and killed. This enraged Elgin, who then sent orders to his troops to burn the Summer Palace to the ground in retaliation. This does not justify actions of such destruction to a culture. The Chinese were preoccupied by political uprising for many years, but now they can finally return to their history and celebrate their story and artifacts, or in this case lack there of. The grand Summer Palace’s artifacts are spread out all over the world. There are efforts to bring these looted artifacts home, but it is a delicate process. There is great resentment around wealthy chinese purchasing their stolen heritage at auctions and at the Royal Engineers’ museum in Kent, deputy curator James Scott says, “‘We don’t actually mention the word loot at all. We try to keep the interpretation as neutral as possible’” (Bowl). This is where archaeologists are needed. The origins of some of the artifacts being sold are disputed, but just because the site was burnt down, does not mean that the context can’t be used to help indicate where and when an artifact was created. This leads to greater ethical questions. Should China have to purchase its own heritage back? Looting occurs on a global scale and eventually, must be addressed. Hopefully with the work of archaeology and the corporation of different countries, all cultures will be able to properly celebrate their heritage. Bowl, Chris. “The Palace of Shame That Makes China Angry.” BBC News, BBC, 2 Feb. 2015, www.bbc.com/news/magazine-30810596. Centre, UNESCO World Heritage. “Summer Palace, an Imperial Garden in Beijing.” UNESCO World Heritage Centre, whc.unesco.org/en/list/880. Hector Davie on 11 March 2016, et al. “The Loot from China’s Old Summer Palace in Beijing That Still Rankles.” Oxford Today, www.oxfordtoday.ox.ac.uk/opinion/loot-chinas-old-summer-palace-beijing-still-rankles. “Summer Palace, Beijing, China.” UNESCO, whc.unesco.org/uploads/thumbs/site_0880_0042-1200-630-20151104152956.jpg. “Ancient Gate of Summer Palace in Ruins.” Oxford Today, www.oxfordtoday.ox.ac.uk/sites/files/oxford/styles/ot_full_width/public/media_wysiwyg/shutterstock_83332870.jpg?itok=COQ1MWbx.